Do you feel like you’ve been working all day, but still haven’t accomplished much? No matter how hard you try, work just doesn’t seem to end; instead, each day, you’re busy tackling other aspects of your job, and rarely have time to get down to the core tasks. Given the amount of our daily work, it’s likely that we lose track of time. For contractors, time management is crucial. They have projects that have to be completed on time and they just cannot afford to miss a deadline. The situation is even more challenging for independent contractors, for they have to keep a track of every minute that they spent working as they are billed hourly. Grab a pen and a paper and jot down your schedule for the day. With each task, set clear timelines and follow them. Do this every morning, before you start working on any task. Keep your schedule on your desk and cross out the listed tasks as you complete them. Track the time you took to complete the task against the one you had set in your schedule. You can save more time and implement a time tracking software to track time for you. Prioritizing tasks is essential. You need to make sure that all high priority tasks are completed prior to the low ones. When scheduling your day, always list tasks according to its priority. This will help you in managing your time effectively and completing your tasks efficiently. Once you’re done scheduling and prioritizing, get down to work immediately. Avoid all interruptions. Limit the amount of times you check your email. If you’re managing a team, delegate tasks and resist being a micro-manager. Working on a range of tasks thinking that you might be able to accomplish more is a myth. Concentrate on a single task at a time. Finish the job and only then move on to the next one. The quality of your work will also be improved. Combine related tasks to manage your time. For instance, if you need to make phone calls, group the task together and complete it in a single go. Allocate a specific time slot for all related activities and tasks in order to streamline your process and manage time. Looking for an affordable contractor time tracking software? Get in touch with us now! Our software, Chrometa is incredibly designed in a manner to help you track time and also share information in real time. Take a look at the full demo here. Also stay tuned for part 2! Studies show that individuals get paid for only 67 percent of the hours they spend working. In other words, professionals work for 3 hours to get paid for 2 hours only. 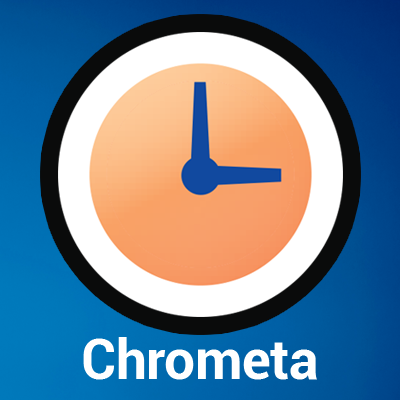 Chrometa captures your time automatically. As you work on your PC, the software tracks the time spent on various activities. Our software eliminates the need of start and stop timers. It runs in the background and captures time passively. This is why we call it your personal timekeeper! 3 minutes spent on a call, 7 minutes spent working on documents, 15 minutes spent responding to emails – remembering and recording all this information is crucial! Chrometa helps you in tracking every minute. Even if you’ve spent a Saturday working for your client, Chrometa will make sure you get paid for it! Whether you’re working on a document or working on the web – Chrometa is designed to record all activities and the time that you spent working. Our software is designed in a manner that it even tracks your away time. As soon as your mouse and keyboard go idle, our software starts recording it as away time. When you’re back, you’ll get a pop that asks whether you’d like to log the time you spent away to any project. You can even split this time and assign it to different projects! Chrometa’s timesheets are rule-based. This means all your time entries will be automatically assigned to the appropriate client and project. All entries in the timesheet are then automatically converted to billable entries with only a click! We have also launched a time tracking app that helps capture your smartphone time. Individuals who usually work from their smartphones can get paid for making and receiving official phone calls and text messages, responding to emails through their phone and a lot more! Now you can track time even when on the go! So, what are you waiting for? Get our incredible employee time tracking program now and boost your productivity by tracking every minute that you spent working! Choose from our three pricing plans and also get a 30 day free trial! The issues associated with employees wasting time at workplace is even worse than it was the year before. A survey gathered responses from 750 employees, out of which 31% agreed that they waste up to 30 minutes daily at work. Another 31 percent agreed that they waste around an hour at work. Is there anything that can be done to control this, and enhance productivity? The answer is time tracking software. However, this software does more than help companies deal with wasted time. It also provides productivity insights and the issues that your employees have been facing. Are you facing productivity issues since the past few weeks? Prior to that, was everything in place? If your answer is yes, then there might be chances that your employees are overburdened with work, and are simply procrastinating. There’s a reason why the standard workweek is of 40 hours, no more or less than this. By employee time tracking, you’ll be able to find out if your employees are putting in extra hours and where exactly is that being utilized. Are they using the Internet more than required? Time tracking program captures all activities. It’ll help you know if your employees are spending more time on the internet than they actually should. If they are, you can take necessary actions. There are a few time tracking programs that automatically categorize websites into productive, unproductive and neutral. Thus, you can track all information as to how much time is being spent on the unproductive websites. The software provides daily reports to each employee, thus they can check where they’ve been spending most of their time. They may take actions to improve their personal productivity; however, you can always monitor their performance; if they’ve made any improvement. The importance of increasing brain power and mental strength is often overlooked. Thus, encourage your employees to practice brain exercises and mental games. Watch out for Carpal Tunnel Syndrome – pain, numbness and tingling in the thumb, index finder, middle finger and the thumb side of the ring fingers. This is a common occurrence in office workers. Talk to your employees and ask them if they’re experiencing any of these symptoms. If they are, then it’s time to replace simple mouse and keyboards with ergonomic ones. Encourage them to speak to you about what’s causing a decline in their productivity. The best way to track time? Chrometa! This amazing software helps companies to keep a track of all their employee productivity and where they’ve been spending most of their time.